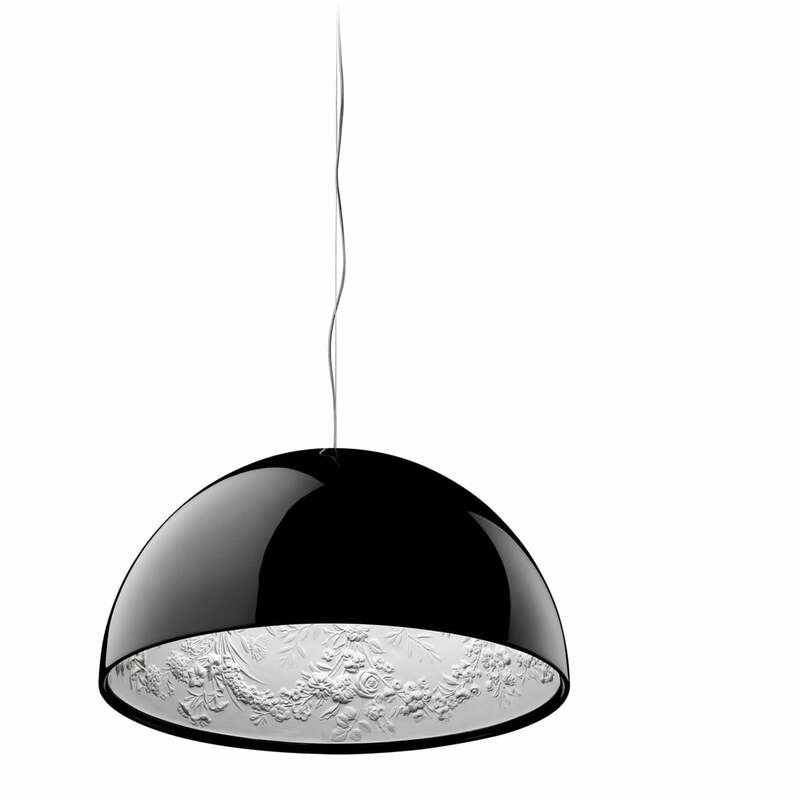 The Skygarden suspension lamps collection has been designed by Marcel Wanders for the Italian lamps manufacturer Flos. Skygarden offers diffuse light and surprises with an unusual material mix: The cupola consists of mechanically treated plaster cast, which acts like an antique stucco with floral patterns. The exterior is available in two glossy lacquered surfaces (black and white) or two matt surfaces (rust brown and gold). Skygarden is available in two sizes (Skygarden 1 / Ø 60 cm and Skygarden 2 / Ø 90 cm). The bulb inside of the copula is covered by a diffuser out of double, mouth blown opal glass whose lower end displays a laser-cut metal pattern. ”In my former house I had a fabulous antique decorated plaster ceiling. I called it my Skygarden, it always looked good even without me having green fingers or taking care of it very well. It didn't need water or sun but would live only on the warm rays of the electrical light under it. I took my tools and stole it from the ceiling. This fabulous piece of history is now secretly hidden in a minimalist architectural sphere in the heart of my new home where I can enjoy it with friends.”.